Fill out forms and log into sites automatically with Handy Password. This Password Manager can save securely your logins and passwords to a encrypted database, generate random passwords. 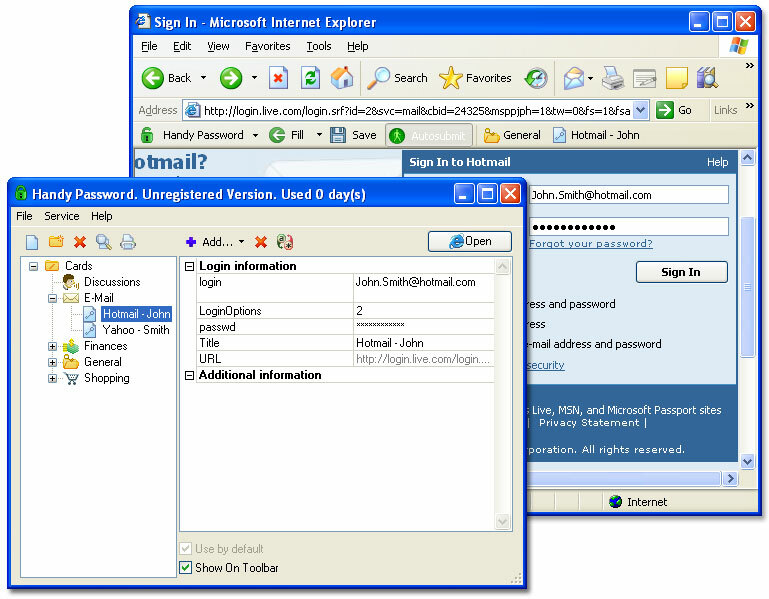 You can keep your passwords database on an email server and easily access it from anywhere. Installed on a USB drive, Handy Password can be used on any PC you are working at without installing the program on this machine.